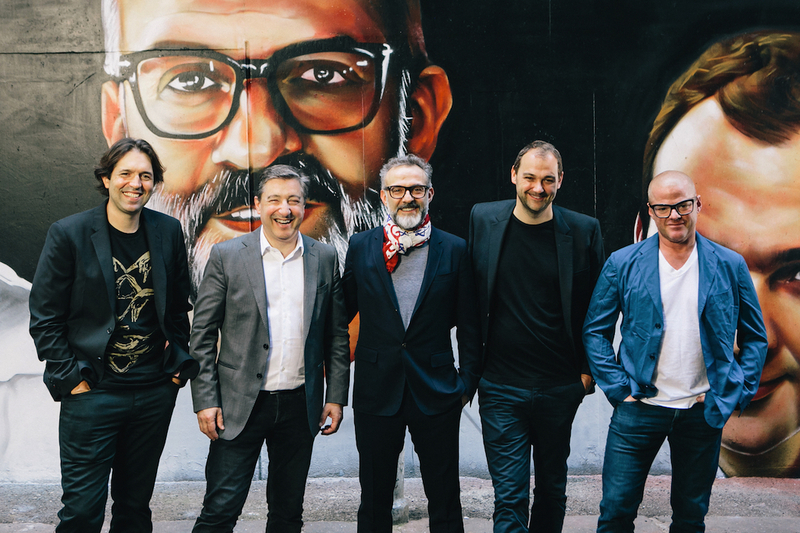 Chefs Ben Shewry, Joan Roca, Massimo Bottura, Daniel Humm, and Heston Blumenthal, at Higson Lane, Melbourne. It’s a testament to how much Australia’s culinary standing has risen globally that Melbourne was chosen for the announcement of The World’s 50 Best Restaurants for 2017. 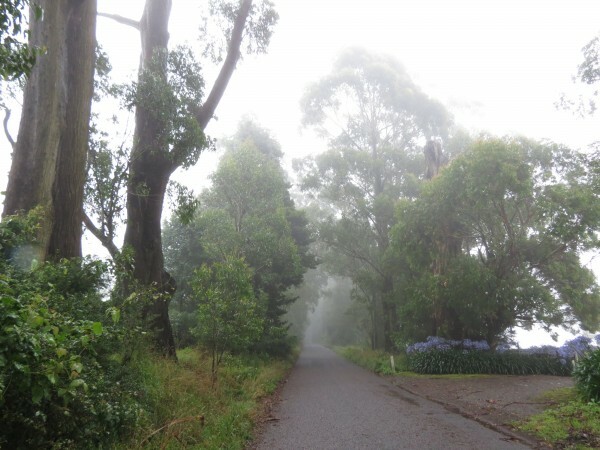 Two Australian restaurants – Attica and Brae – made it onto this esteemed list. The awards ceremony held earlier this month at Melbourne’s historic Royal Exhibition Building attracted around 1,000 guests, a veritable who’s who in the world of food and wine. New York restaurant, Eleven Madison Park, was named the world’s Best Restaurant for 2017, as well as Best Restaurant in North America. Housed in an art deco building overlooking New York’s Madison Park, the restaurant’s multi-course seasonal tasting menu celebrates the city’s rich history and culinary traditions. Co-owners Will Guidara and Swiss-born chef Daniel Humm enhance the fine-dining experience with a sense of fun, blurring the line between the kitchen and the dining room. 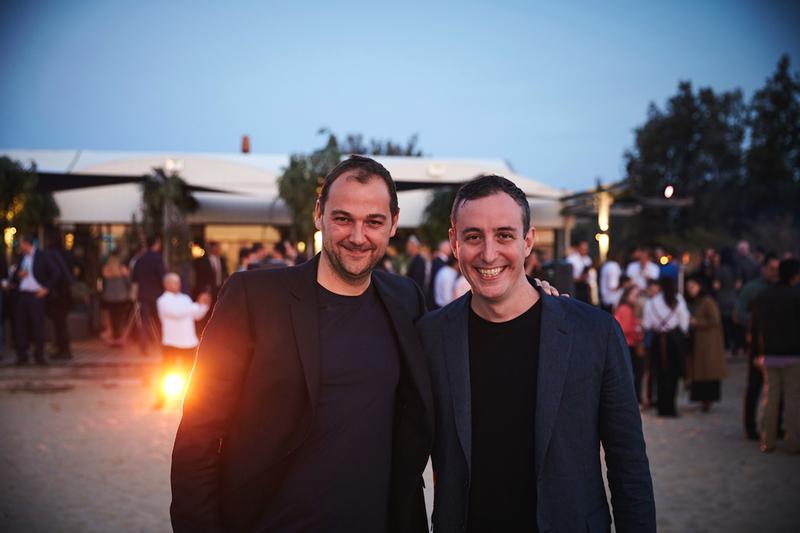 Daniel Humm and Will Guidara (Eleven Madison Park) at the Chefs’ Feast during the celebrations in Melbourne. Last year’s No.1 restaurant, Osteria Francescana in Modena, Italy, ranked at No.2 this year and retained its title as Best Restaurant in Europe. Showcasing a broad cross-section of cultures and cuisines, The World’s 50 Best Restaurants list includes restaurants from 22 countries across five continents. France, Spain and the USA each have six restaurants on the list. Now in its 15th year, the list welcomed six brand new entries and three re-entries. France doubled its number of restaurants on the list, and now has six entries, including three in the top 20: Mirazur (No.4), Arpège (No.12) and Alain Ducasse au Plaza Athénée (No.13). Alleno Paris Pavillon Ledoyen debuted at No.31, earning the Highest New Entry Award, while another Paris-based restaurant, Septime (No.35), claimed the Sustainable Restaurant Award. Spain retained its strong presence on the list with three of its six restaurants landing in the top 10. Former No.1 El Celler de Can Roca led the contingent at No.3, with Asador Etxebarri at No.6 and Mugaritz in San Sebastian at No.9. South America boasts five restaurants on the list, including the debut of Tegui in Buenos Aires at No.49. Chef Virgilio Martínez boasts two award wins. His restaurant, Central (No.5), in Peru, was named Best Restaurant in South America, and he won the peer-voted Chefs’ Choice Award. The winning chefs and restaurateurs celebrate at The World’s 50 Best Restaurants awards ceremony at the Royal Exhibition Building, Melbourne. Among the seven restaurants in Asia on the list, Japan and Thailand each claim two entries. At No.7, Gaggan in Bangkok won the Best Restaurant in Asia title. Restaurant Andre, Singapore, climbed 18 places to No.14 while Den in Tokyo debuted at No.45. The city of Copenhagen fared well, with two of the Danish capital’s restaurants recognized: Geranium (No.19) and Relae, a previous two-time winner of the Sustainable Restaurant Award (No.39). Heston Blumenthal had double reason to celebrate. As well as being the 2017 recipient of the Lifetime Achievement Award, his London restaurant, Dinner by Heston Blumenthal, rose nine places to No.36. Dan Barber’s progressive restaurant, Blue Hill at Stone Barns, rose 37 places to No.11 to earn the Highest Climber Award. Ana Roš of Hiša Franko, Slovenia, was named the World’s Best Female Chef 2017 and New York-based pastry entrepreneur Dominique Ansel took the title of World’s Best Pastry Chef. Since opening his SoHo bakery in 2011 and launching the Cronut, his influence has extended to London and Tokyo. Dan Hunter (Brae) and Ben Shewry (Attica), at the Chefs’ Feast, Melbourne. Melbourne restaurant Attica (No.32) retained its title as the Best Restaurant in Australasia, while Dan Hunter’s Brae in regional Victoria (No.44) was a first-time entry on the list. Peter Gilmore’s wonderful Sydney restaurant, Quay, featured at No.95 on the 51-100 list that was announced prior to the awards ceremony. Founded in 2002 by William Reed Business Media, The World’s 50 Best Restaurants is a globally recognised gastronomic reference point. The awards are based on the votes of an influential group of almost 1,000 international leaders in the restaurant community. 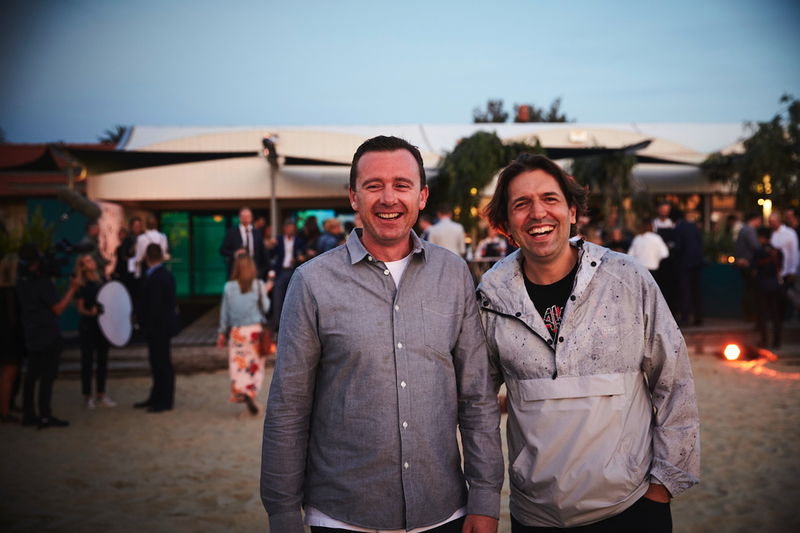 Group editor William Drew said Australia’s exciting and dynamic food and wine scene had made it the perfect destination for acknowledging excellence and celebrating the successes of the world’s culinary landscape. Australian chef Neil Perry designed a menu with a strong focus on Australian produce, ahead of the official ceremony where the award winners were announced. David Blackmore Wagyu, Fraser Island spanner crab, Paroo kangaroo, Mooloolaba tuna, West Australian scampi and oysters from New South Wales and South Australia were some of the highlights on Perry’s menu. Read the full list of The World’s 50 Best Restaurants. 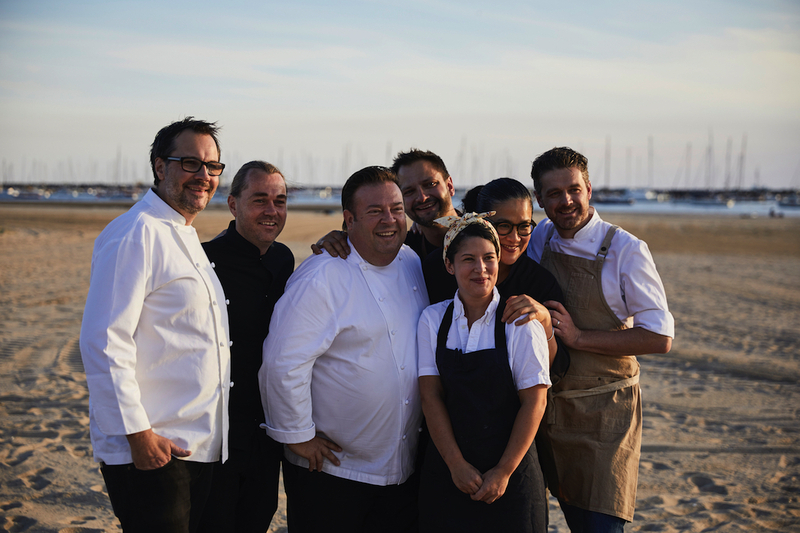 Martin Benn, Shannon Bennett, Peter Gilmore, Lennox Hastie, Analiese Gregory, Kylie Kwong, and Jock Zonfrillo at the Chefs’ Feast, Melbourne.